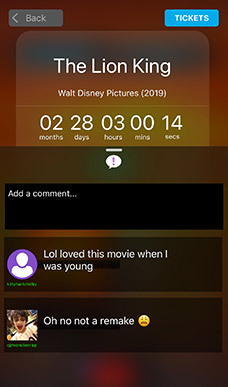 Movie Hype lets you follow movies to get breaking news alerts and release reminders, chat about upcoming movies with friends, watch trailers, and check in at the theater. 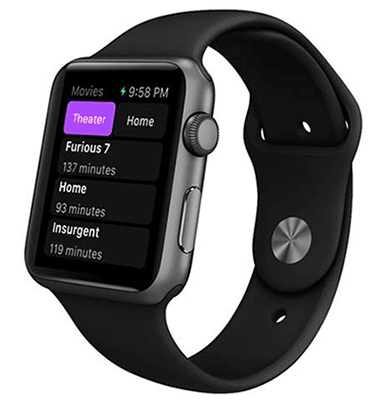 Ten Best Apps For Apple Watch...The days of heading to IMDB are over. 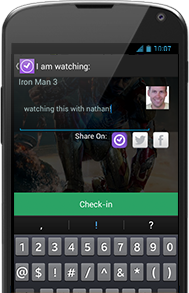 9 Coolest Movie Apps... One of the best free movie apps around. 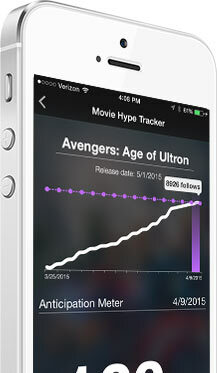 The Movie Hype Anticipation Meter uses the social interaction surrounding upcoming movies to gauge their popularity and predict box office success. 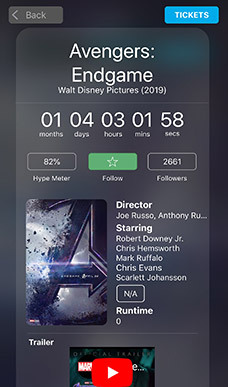 Track movie hype over time while you countdown to the release with the built in countdown timer. 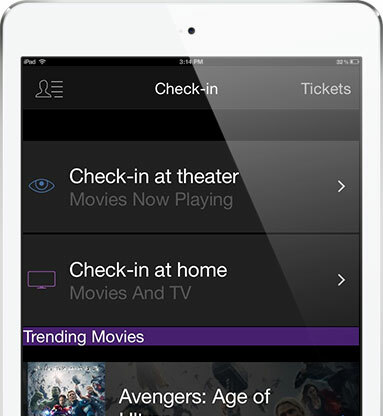 Check in at the theater when you arrive and interact with other fans before the show. Location awareness features detect the theater you are in for easy sharing on Facebook and Twitter. 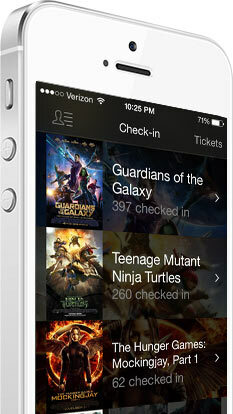 Not only does the Movie Hype App work with the iPhone. It is also compatible with Android devices as well as the Apple iPad. 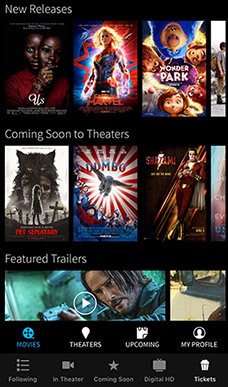 Connect Movie Hype with Apple Watch for a new movie watching experience. Movie Hype knows the run time of in theater and in home films. Start the movie timer countdown when a film begins . A quick glance at your wrist will let you know the time left so you can adjust your seating position or go grab a quick snack. Here are few screenshots from the app, but just enough to tease. Download the app to watch the REAL magic happen. © 2019 FlickDirect Inc. All Rights Reserved. FlickDirect™ and Movie Hype™ are trademarks of FlickDirect, Inc. Photos & certain artwork used on FlickDirect are copyright protected and are the property of their respective owners. Studio logos & other trademarks used herein are the property of their respective owners.